It’s been more than five years since Chelsea Manning came out as transgender, but news organizations continue to struggle when it comes to reporting on her past. With her name in the news once again as a result of the April 11 arrest of WikiLeaks founder Julian Assange, some reporters and commentators repeatedly referred to her by the incorrect name and pronouns. NBC News reporter Ken Dilanian referred to Manning as “he” and “him” during multiple MSNBC segments. Fox News reporter Greg Palkot emphasized Manning’s former first name, “Bradley,” during two Thursday Fox & Friends clips and again the following day on America’s Newsroom. On CNN, correspondent Nick Paton Walsh stumbled over both names and pronouns during a Friday report on New Day. Whether or not the names and pronouns were being deployed in any sort of deliberate manner, these reports are evidence of a lingering uncertainty when it comes to talking about trans people. The best way to refer to a trans person -- even when discussing their past -- is to use whatever name and pronouns that individual currently uses. In Manning’s specific case, she came out as trans in a written statement on August 22, 2013. In it, she wrote, “I also request that, starting today, you refer to me by my new name and use the feminine pronoun.” While this request would appear simple enough to follow, journalists have been twisting themselves into knots about it ever since. The misgendering of transgender people in the media can send a dangerous message to the public, reinforcing the very prejudice at the heart of the discrimination and violence transgender people face. Transgender people are their names and gender identities even before they come out publicly, and that fact should be reflected in coverage of transgender people in the news. While there has been significant progress in media coverage of transgender people, too often we see competent and respectful coverage fall away when the news revolves around transgender people who have been incarcerated. Every transgender person deserves to have their gender identity affirmed and it shouldn't be conditional. 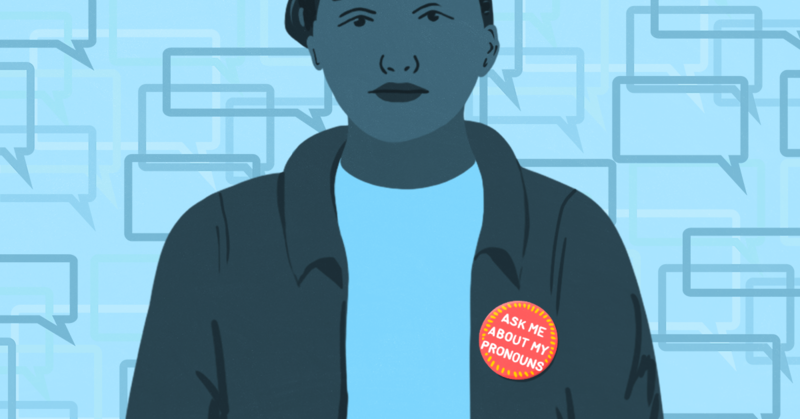 Media outlets should always use the current and accurate pronoun to refer to a transgender person, and should never reveal a trans person's birth name without their explicit permission. When a public figure transitions, there may be a brief period of time where journalists refer to their birth name in order to report on the transition. However, after the person's new name becomes common knowledge, it is unnecessary and disrespectful to continue referring to their old name. I strongly encourage reporters to use a subject’s current name and only their current name unless otherwise permitted by the person themselves. Rarely is someone’s prior name relevant to your story, and including it only draws more attention to the individual’s status as a transgender person when, as was the case in Manning’s story, it’s not relevant to the main narrative of the article. I would encourage reporters to ask themselves if they would do the same for someone who had changed their name after, say, a marriage or a divorce. There are transgender people who may be fine with someone noting or mentioning their prior name, and doing so in an article is fine with that expressed permission. But to ensure the privacy of all parties are protected, I encourage reporters to hedge on the side of courtesy and respect by using a person’s current name only. To add on to one of Branstetter’s points, you wouldn’t go out of your way to refer to a woman who changed her name from “Smith” to “Jones” after exiting a marriage as “Mrs. Smith” just because you happen to be describing an event that occurred when that was the name she went by. In fact, doing so would come off as rude. The same goes for referring to trans people’s pasts. The Associated Press and The New York Times both spell out these guidelines in their in-house style guides. In the case of Manning’s most recent mentions in the news, her former name was almost certainly not relevant to the story. Barring the need to quote from a specific document using her former name, it’s unnecessary to note that she was known by something else at the time. In Jenner’s case, a reference to her former name in a story about her Olympic victory might make sense, as the story becomes confusing if you somehow aren’t aware that she’s transgender. In Manning’s situation, unless a story is about legal battles undertaken to access hormone replacement therapy or her fight to legally update her name in April 2014, references to her trans status, former name, or former pronouns are unnecessary, as her gender was not central to the story. Resistance to accurately referring to trans people by the names and pronouns requested sends a clear message about whose identities are considered legitimate and whose aren’t. When Chelsea Manning first came out as trans, CNN justified its decision to refer to her by masculine pronouns because she had “not yet taken any steps toward gender transition through surgery or hormone replacement therapy.” Of course, this was complicated by the fact that Manning wasn’t in a position where she could take those steps, having just been sentenced to 35 years in prison. Additionally, CNN’s stated policy at the time was to refer to Manning by her former name since she had not yet legally changed it. This would have made sense if the policy was consistently applied across the board, but it wasn’t. Some people, such as Stefani Germanotta (Lady Gaga), go by stage names. Others, such as Sens. Willard Romney and Rafael Cruz (Mitt and Ted), go by middle names or nicknames. CNN had no issue with referring to individuals by their chosen names in those cases. Refusing to honor Manning’s wish to be referred to by her chosen name was more than a simple matter of policy -- it was a passive-aggressive decision to delegitimize trans identities. 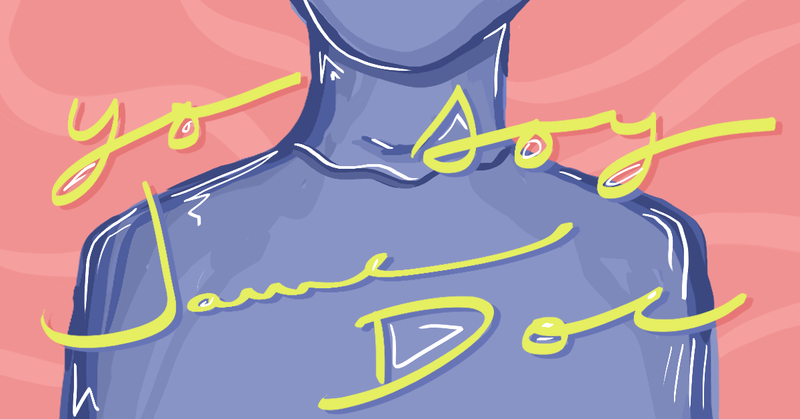 Years after coming out as trans, Chelsea Manning and all trans people continue to be delegitimized, medicalized, and stigmatized by the media through gratuitous reminders of news subjects’ trans status. Accurate and unbiased reporting means journalists need to consistently afford trans people the same level of respect they’d offer anybody else. 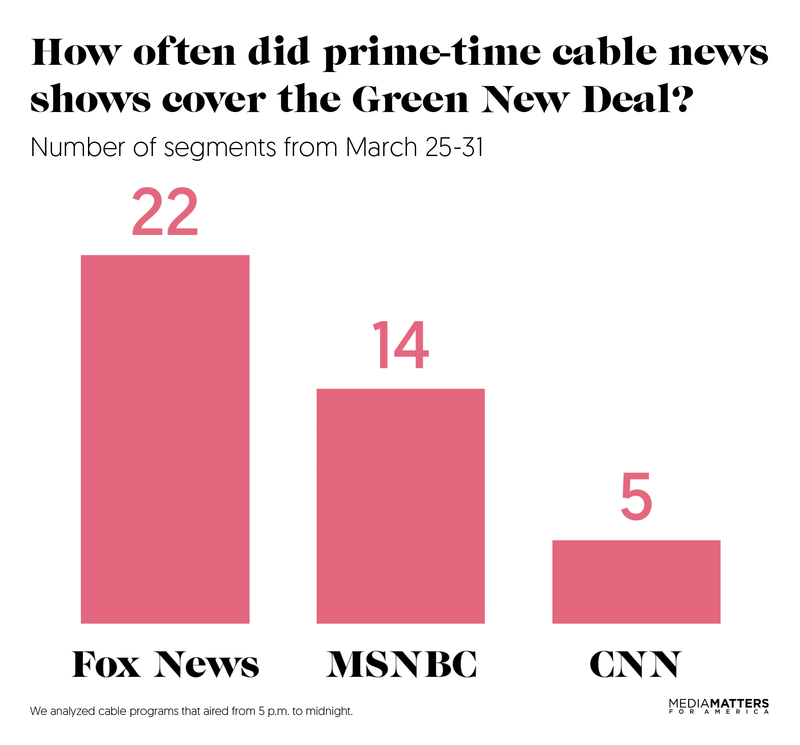 In the last week of March, Fox News aired more than twice as many prime-time segments discussing the Green New Deal as MSNBC and CNN combined, Media Matters found. Fox ran 22 segments on the Green New Deal, and only half of them even mentioned climate change. MSNBC and CNN aired 14 and five segments, respectively, but all of those discussed climate change. Rep. Alexandria Ocasio-Cortez (D-NY) and Sen. Ed. Markey (D-MA) introduced the Green New Deal on February 7, thrusting the issue of climate change into the national political conversation. On March 26, Senate Majority Leader Mitch McConnell (R-KY) called a procedural vote on the resolution, attempting to embarrass Democrats by forcing them to take a stance on it before senators had a chance to hold hearings and debate the measure. Almost all Senate Democrats banded together to call McConnell's bluff by voting "present" instead of yes or no. Media Matters analyzed prime-time cable news coverage of the Green New Deal during the week of the Senate vote. From March 25 to 31, Fox News ran 22 segments discussing the Green New Deal on its weekday and weekend prime-time shows airing between 5 p.m. and midnight. Across this same period, MSNBC aired 14 prime-time segments discussing the Green New Deal, and CNN aired five. Only half of Fox's Green New Deal segments mentioned climate change, 11 out of 22, despite the fact that the plan is designed specifically to address the climate crisis. In contrast, all segments about the Green New Deal on MSNBC and CNN discussed climate change. Media Matters did a similar analysis in February in the days after the Green New Deal was introduced. It found that Fox covered the Green New Deal more than three times as often as MSNBC and CNN combined from February 7 to 11; Fox aired 34 segments that mentioned the proposal, MSNBC aired eight, and CNN aired three. And during that period, Fox mentioned climate change in 41% of its Green New Deal segments, MSNBC mentioned climate change in 62%, and CNN mentioned it in 67%. Comparing those earlier findings to our new ones, Fox ran fewer segments on the Green New Deal in the last week of March than it had during that stretch in early February, and a similar proportion of the segments mentioned climate change. MSNBC and CNN, in contrast, both improved their performance, airing more segments on the Green New Deal and discussing climate change in all of them. And in the case of MSNBC in particular, many of the segments were longer and more substantive and informative. But the overall trend of Fox covering the Green New Deal more than its cable competitors continued, and that's a significant problem because Fox's coverage is so bad. In the last week of March, many of Fox’s 22 segments mentioning the Green New Deal contained misinformation. A number of them falsely suggested or stated that the plan would ban airplanes or cars, which it would not. Others claimed that the Green New Deal would cost $93 trillion or $100 trillion, though both figures have been debunked. In four cases, the misinformation came directly from President Donald Trump; he maligned the Green New Deal during a speech in Michigan, and Fox aired footage of that speech without rebutting Trump's false statements. Donald Trump Jr. spread false information too. On the March 25 episode of Tucker Carlson Tonight, he mocked the plan and said, "we don't exactly have $93 trillion to spend to say you're going to take a bus to Hawaii." JESSE WATTERS (HOST): Good, now, what is the data telling you about socialism? The Green New Deal, are people responding to that? Or is this a killer at the ballot box? BRAD PARSCALE: I mean, look, I think it’s a great issue for the president. I think it's just, as he said last -- as he's been trying to say all week, I think it’s incredible how much they just want $100 trillion, destroy the economy, turn us into Venezuela. WATTERS: He wants to run against the Green New Deal. PARSCALE: Oh yes. Oh yeah. WATTERS: He is licking his chops. WATTERS: Right, yes, it's like the Big Mac president running against the vegans. It's not going to fly. But both Tucker Carlson Tonight and Hannity, Fox's flagship evening opinion shows, spent less time on the Green New deal in the last week of March than they had in early February, when they both aired rants about its allegedly oppressive nature. In contrast, Fox News @ Night with host Shannon Bream, which Fox bills as a straight "news" program, aired more segments on the plan in the last week of March than it had in early February. The Fox News @ Night segments also spread misinformation, like the false claim that the plan would cost $100 trillion. Fox News @ Night also gave a platform to Sen. Mike Lee (R-UT) on March 27 to continue the ridiculous attack he had made on the Green New Deal on the Senate floor earlier that day; on the show, Lee mocked the plan further, saying, "The Green New Deal is its own punch line." MSNBC aired 14 segments on the Green New Deal in the last week of March, and nine of them ran on All In With Chris Hayes. All of MSNBC's segments discussed the plan within the context of climate change. SEN. ED MARKEY (D-MA): I voted “present” because Mitch McConnell and the Republicans, who are making a mockery of the legislative process, they gave us no hearings. We could have no expert witnesses. We could have no scientists. We could have no people from the states which have been affected by the massive climate-related damage, which has occurred from forest fires in California to the storms across the Midwest, the hurricanes sweeping through Texas and Florida. None of that was allowed to be presented as part of a hearing process. CHRIS HAYES (HOST): Today illustrated to me the enormous gap -- I mean, I think the Republicans by and large, your fellow colleagues, they see it all as a joke, as a stunt. I mean, the gap between what the actual physics are -- what the science says, what the scale of the challenge is -- and where the Republicans are, it almost seems un-overcomeable to me. Does it to you? MARKEY: It is pretty big. I mean, the United Nations and their scientists at the end of 2018 said that climate is warming so rapidly that it now poses an existential threat to the planet. The 13 federal agencies with jurisdiction over climate issued their own report at the end of 2018. They came to a conclusion that said this is very serious and we had to do something about it. On March 29, All In With Chris Hayes aired a special episode in which Hayes interviewed Ocasio-Cortez and a host of others about climate change and the Green New Deal. This episode accounted for four of MSNBC's segments about the Green New Deal in the last week of March. Hayes also aired segments about how Republicans are failing to substantively engage on climate change and how climate change is already affecting residents of the Bronx, among others. According to a recent Public Citizen analysis, Hayes discussed climate change more than his MSNBC peers over the past 24 months -- even though he called climate change a “palpable ratings killer” last July. He was criticized for that comment, and since then he's aired climate coverage more often. Public Citizen is now calling on Hayes to commit to cover climate change at least once a week. Other discussions of the Green New Deal on MSNBC came during interviews with politicians, including Sen. Mazie Hirono (D-HI) on MTP Daily, Sen. Jeff Merkley (D-OR) on Politics Nation, and Markey again on The Last Word with Lawrence O'Donnell. One MSNBC segment included a guest who argued against taking dramatic steps to combat climate change. On the March 26 episode of MTP Daily, New York Times columnist Bret Stephens warned that we could "bankrupt ourselves in the process of ensuring ourselves against the potential risk." Host Katy Tur and NBC analyst Heather McGhee both pushed back against Stephens' claim that climate change isn't serious enough to warrant bold action. CNN aired only five prime-time segments that discussed the Green New Deal in the last week of March. Climate change was brought up in all of them. Three of these discussions occurred during interviews with Democratic presidential candidates. On the March 26 episode of Erin Burnett Tonight, Julián Castro, former secretary of Housing and Urban Development, said he was a "fan of the Green New Deal." Though he did not say the words "climate change" or "global warming," he spoke about the climate crisis, noting the need to "protect our planet" and the promise of renewable energy. Former Colorado Gov. John Hickenlooper appeared on CNN Tonight on March 26 and said he does not support the Green New Deal, but he thinks climate change is "one of the defining issues of our times." And during a CNN town hall on March 27, Sen. Cory Booker (D-NJ) restated his support for the Green New Deal and emphasized the importance of fighting climate change. It is good news that MSNBC and CNN have been discussing the Green New Deal in the context of climate change, and in some cases examining its policy ideas in-depth. The core challenge the Green New Deal faces is not so much on the merits of the concept or even its political feasibility; it is that many of its Democratic supporters have met an aggressive and one-sided onslaught from the right with very little by way of response. Though many components of the Green New Deal are popular, the Republican propaganda machine has already reshaped the narrative, and it has done so with virtually no coordinated pushback from progressives, or certainly nowhere near enough, a worrying pattern. Progressive pushback has emerged more often in recent weeks, especially on MSNBC. But Fox, by covering the Green New Deal so aggressively and negatively, is already prejudicing many voters against it before they have a chance to learn what it actually calls for and why. McElwee cited polling by the progressive project Navigator that found Republican Fox viewers were more likely than other voters both to have heard a lot about the Green New Deal and to have seen negative coverage, and a recent poll by Navigator found that Fox News viewers were more inclined than others to deny that human-made climate change is happening. Fox is unlikely to change its approach, so other media outlets need to step up with more frequent, honest, and probing coverage of the Green New Deal and other proposals for addressing the climate crisis. Failure to do so will distort the overall discourse around climate change and hinder the process of finding solutions. Media Matters conducted Nexis and IQ Media searches for mentions of "green new deal" in programs that aired on CNN, Fox News, and MSNBC between 5 p.m. and midnight from March 25 to 31. We then searched within those transcripts for mentions of “climate” or "global warming." We counted any segments that were devoted to the Green New Deal or made substantial mention of it. We did not count teasers, passing mentions, or rebroadcasts. MSNBC's Jacob Soboroff: Trump's policies at the border have "made a legitimate humanitarian crisis worse"
Climate silence was the big problem in 2018. In 2019, we've got new challenges. A version of this post was originally published by Grist. Climate change coverage in much of the mainstream media was abysmally low in 2018. It's been tilting upward in the first quarter of 2019, thanks in large part to the Green New Deal. The ascending trend is a positive development overall -- it's about time media started paying more attention to the existential crisis of our time! -- and yet some of the coverage has been weak, and some has been a total mess. Media Matters found that climate coverage on the national broadcast TV networks in 2018 plunged 45 percent from 2017 levels -- and it's not like coverage in 2017 was anything to brag about. In 2018, the major nightly news and Sunday morning political shows on the national broadcast networks spent a combined total of just 142 minutes on climate change, and almost a third of that came from a single climate-focused episode of NBC's Meet the Press on December 30. Without that one show, 2018's coverage would have fallen 64 percent from the previous year -- an astonishing decline when you consider the horrific extreme weather last year, the harrowing climate science reports released by the United Nations and 13 U.S. government agencies, the Trump administration's ongoing assault on climate protections, and the ever-increasing urgency of the climate crisis. Analyses of other media trends in 2018 also pinpointed shortcomings. The watchdog group Public Citizen examined coverage of extreme weather events in a number of U.S. newspapers, online sources, and cable and broadcast TV networks last year and found that "the proportion of pieces that mentioned climate change was disappointingly low." Just 7 percent of stories about hurricanes incorporated climate change, while the figures were higher for other kinds of weather disasters, but still not as high as we need them to be. Many of the journalists who served as moderators in 2018 midterm election debates neglected climate change too. Only 29 percent of key debates in competitive Senate and gubernatorial races included a question about climate change. But the 2018 midterm election ultimately triggered a change in climate coverage and in the broader national conversation about the need for climate action -- because it brought us AOC. President Donald Trump drove climate coverage (or the lack of it) in the last couple of years, but so far in 2019, Rep. Alexandria Ocasio-Cortez (D-NY) has taken over the driver's seat. When she and Sen. Ed Markey (D-MA) introduced their Green New Deal resolution on February 7, they kicked off a firestorm of climate coverage. 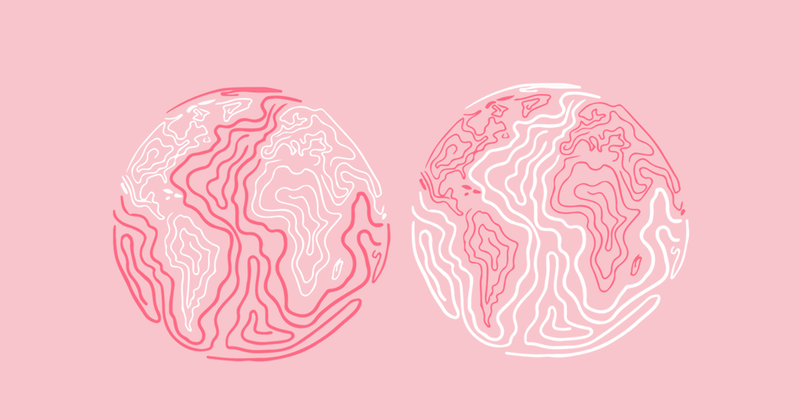 Whether you love the Green New Deal, hate it, or want to quibble over its specifics, you can't deny that it's spurring more discussion of climate policy than the U.S. has ever seen. The Green New Deal inspired The Washington Post to dedicate five consecutive days of editorials to substantive discussion of a comprehensive climate plan (handily compiled into one online piece). It got the major Sunday morning political shows talking about climate change with more fervor than they did during most of last year. 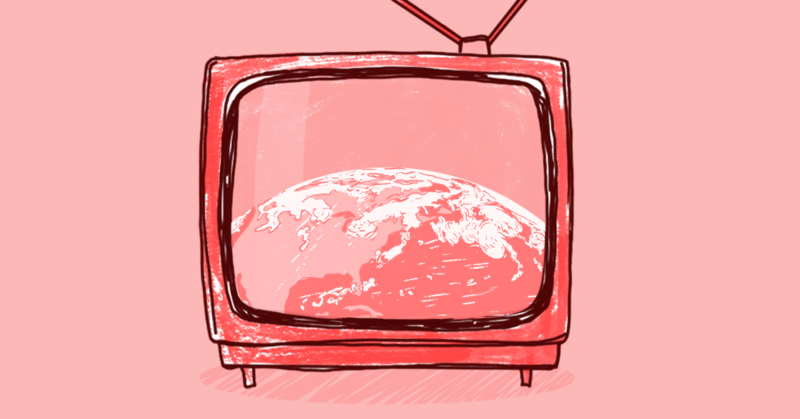 It prompted an unusual amount of prime-time cable climate coverage. It sparked MSNBC's Chris Hayes to host a special event with Ocasio-Cortez -- after he said last year that climate coverage was a "palpable ratings killer." And it propelled young Americans to march in the streets and confront their senators, thereby pushing their messages into the press. The Green New Deal has even motivated a handful of Republican members of Congress to cough up some of their own ideas for addressing aspects of the climate crisis, as The Washington Post recently noted, sparking still more media coverage of climate policy. Sen. Lamar Alexander (R-TN) went on NPR's All Things Considered to tout his plan for advanced nuclear power, natural gas, carbon capture, and other greener technologies (and he took the opportunity to bash the Green New Deal). Rep. Matt Gaetz (R-FL) was interviewed by Vice about his forthcoming proposal to spur "innovation" in some of the same areas as Alexander's plan (Gaetz bashed the Green New Deal too). The GOP proposals are not big or comprehensive, as McClatchy DC pointed out; milquetoast would be a kind way to describe them. Same with some new Democratic climate proposals such as the Climate Action Now Act. Suggestions from industry lobbyists are even weaker. But they're all putting climate solutions in the news. Presidential hopeful Jay Inslee, the Democratic governor of Washington state, is also helping by making climate change the central issue in his campaign. He emphasized the need to fight climate change on two of the major Sunday morning political shows in March -- ABC's This Week With George Stephanopoulos and CNN's State of the Nation -- as well as on Fox & Friends, Trump's favorite show. The other Democratic presidential candidates are also talking up the importance of climate change and in many cases endorsing the broad outlines of the Green New Deal, taking cues not just from Ocasio-Cortez but from Democratic voters, who rank climate change among the very top issues that they want candidates to talk about, and from voters across the spectrum, who overwhelmingly say they're worried about global warming. Given all that, we're likely to see debate moderators this year and next ask political candidates more questions about climate change than they did in 2016 or 2018. Some of the climate coverage we've seen so far this year been informative and constructive. See: The Washington Post's editorial series and Chris Hayes' special with Ocasio-Cortez. Some of it has been superficial. See: Beltway pundits. And some of it has been a mess of lies, mockery, and fearmongering. See: Almost everything on Fox News. When the major networks' Sunday morning political shows discussed the Green New Deal the weekend after the resolution was unveiled, "most of the discussion was superficial and narrowly focused on whether the Green New Deal will cause intra-party fighting among Democrats or end up benefiting Republicans, not on whether its policy ideas are good approaches for fighting climate change," as Media Matters' Evlondo Cooper pointed out. Another problem is that some coverage of the Green New Deal doesn't even mention climate change. More than half of Fox News' segments on the plan in the days after it was released didn't include any discussion of climate change. Fox personalities and guests often talked about the proposal as though it were a pointless scheme to oppress the masses, not a plan to address a major looming threat. CNN and MSNBC weren't nearly that bad, of course, but they also ran segments that failed to bring up climate change and discussed the Green New Deal as a political football. When the Green New Deal was voted on in the Senate in March, we again saw Fox News talking heads discuss it without mentioning climate change. One of the biggest problems with coverage of the Green New Deal is that there's a lot more of it on Fox and other right-wing outlets than on mainstream and left-leaning outlets -- and in many cases, Fox and its ilk are straight-up lying. From February 7 to 11, Fox aired more than three times as many segments about the Green New Deal as CNN and MSNBC combined. With their heavy coverage and repetition of misinformation -- like completely bogus claims about sky-high costs -- right-wing media are distorting the national dialogue just as it's getting going. He concludes that "the Republican propaganda machine has already reshaped the narrative." We don't expect Fox to improve (some news outlets are beyond redemption), but mainstream and left-leaning news organizations can do better. They need to cover the Green New Deal and climate change more often to provide a counterweight to the bunk coming from the right. And they should cover it not as a political story (who "won" the day when Mitch McConnell held a stunt vote on the Green New Deal? ), but with substantive reporting and discussion about how to implement climate policies that are fair, effective, and commensurate with the enormous size of the problem. 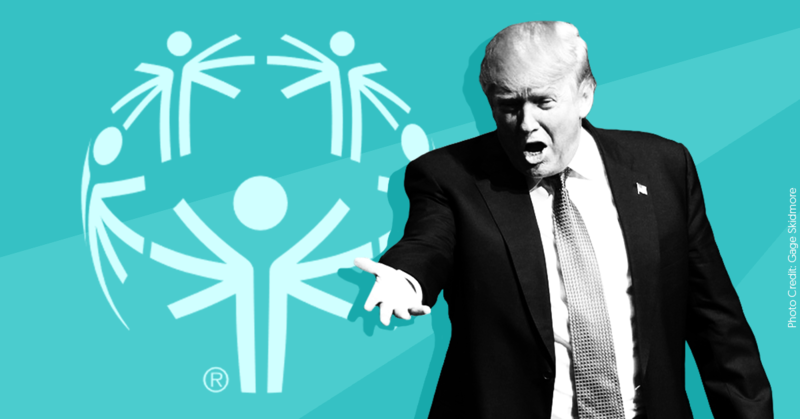 The Trump administration last week made a particularly cruel show of defunding the Special Olympics program in its annual proposed budget -- a largely symbolic gesture that was nonetheless indicative of the administration’s wholesale disregard for people with disabilities. After Secretary of Education Betsy Devos made a series of inept attempts to defend or address the proposed cut amid mounting public pressure, President Donald Trump finally walked back his administration’s line, saying he would change the proposal. In reporting Trump’s remarks, sloppy headlines, tweets, and cable news chyrons that simply quoted the president inherently gave him credit where absolutely none was due. It's part of a larger pattern in which context-free framing can undermine the substance of otherwise good reporting, reducing complex stories to overly simplistic headlines or lead sentences that ultimately mislead the public. Secretary of Education Betsy DeVos appeared twice before Congress last week to discuss her department’s proposed budget for the 2020 fiscal year, and she faced tough questions about a proposed $17.6 million cut that would eliminate federal funding for the Special Olympics. Presidential administrations typically release a proposed annual budget every year as a recommendation and a way to indicate policy priorities -- the federal budget is ultimately under the purview of Congress alone, which can take the presidential proposal under advisement. 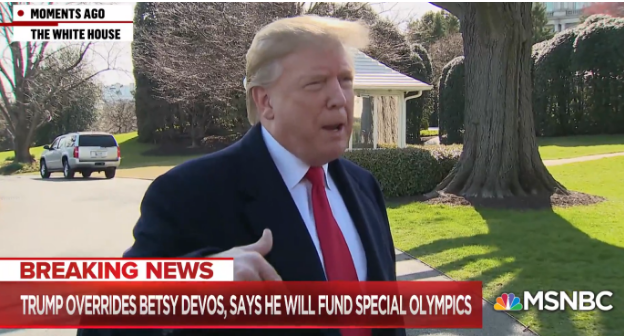 Indeed, Politico noted that the administration had proposed defunding the Special Olympics in its last two budgets as well. As s.e. smith wrote for Vox, the proposed cut illustrated the underlying threat to people with disabilities that the administration poses -- and distracts from other proposed budget cuts and previous administration activities that could harm students with disabilities and limit their access to quality public education. DeVos faced strong pressure to reconsider the budget line, both in the hearings and from media, and was asked clarifying questions about the reasons for the defunding proposal. She struggled to defend the decision, completely and awkwardly ignoring questions from at least one CNN reporter and engaging in the Trump administration’s signature deflection tactic of attacking the media instead. Meanwhile, a Trump campaign spokesperson pivoted to bizarrely attacking Democrats’ support for abortion. Eventually, after multiple days of negative public attention, Trump reversed his administration’s long-held position on cutting the funding. 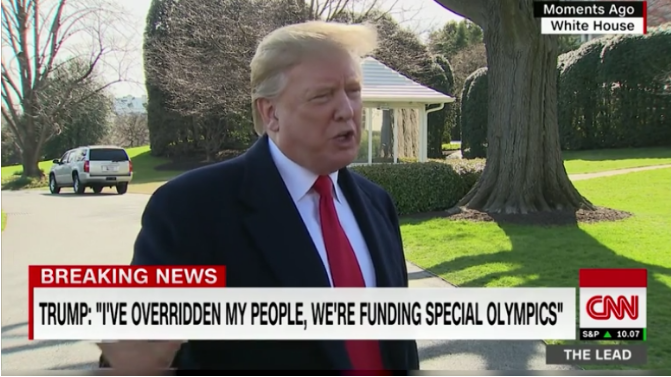 The president told reporters last Thursday that he had “overridden” his own administration and had “authorized a funding of the Special Olympics,” saying that he had “heard about it this morning.” At best, this means Trump had no idea what his own administration was up to until reporters and members of Congress pointed it out. At worst, Trump was well aware of the cut and didn’t care about it until he looked bad publicly -- and was willing to throw DeVos under the bus to fix things. This episode showcased, once again, not just the Trump inner circle’s signature moral repugnancy but also its overwhelming ineptitude. How was it framed by some in media? After Trump abruptly announced the proposed budget change, some blue-checkmarked reporters and media figures immediately started tweeting his breaking news quotes for impact and virality -- a common industry-wide practice. The unintentional effect was a series of tweets that together reframed the news story positively for Trump. Rather than making clear that Trump was reversing his own proposed budget, which does not determine actual funding levels regardless, the tweets portrayed Trump as the savior of the program -- a hero willing to fight his own bureaucracy to protect what he cared about. It amounted to passively spreading misinformation. And news organizations also piled on. Some headlines and cable news chyrons followed the same pattern: they either quoted the president with no context on the shameless pivot or actively framed him as heroically bucking bureaucracy. Surely not all context about the issue can fit in a headline or a tweet. But a few extra words can go a long way in better serving news audiences; some news organizations were able to do it just fine. Every tweet, headline, push notification, and chyron counts. Even if context is provided in subsequent reporting, or in different chyrons or an accompanying discussion, that is not enough. The essential framing has to be right. Media have a responsibility to serve an audience that we know is trying to catch up on the news by glancing at the TV screens (maybe in public, with the sound off, even) and scrolling quickly through tweets, push notifications, or headlines. Reporters covering this should distill what’s most relevant and accurate to a busy, distracted public that’s relying on them. Otherwise, they’re doing the work of the president’s communications shop. In keeping with the network’s well-known brand of conservative misinformation, Fox News is dominating cable coverage of migrants caged by Customs and Border Protection in a parking lot in El Paso. Fox’s coverage -- from both the “news” and opinion divisions -- is predictable, suggesting that the migrants could be dangerous, immigration is out of control, and drastic measures including shutting down the border and mass deportations may be necessary. Since the photographs were first released through publication on March 29, Media Matters found that of the three major cable news networks, CNN aired just one segment on the situation in El Paso, and MSNBC aired three. In contrast, Fox News aired 10 segments -- more than double the coverage of both other networks combined. CNN’s one segment was thoughtful and compassionate, and MSNBC’s Ali Velshi aired an informative backgrounder immediately followed by a policy discussion with a congressional critic of Trump’s border policy. But Fox News dominated coverage of this important story with anti-immigrant spin and calls for stricter laws. An hour later on America’s Newsroom, guest anchor Julie Banderas said that the “36,000 migrant families [who] arrived in El Paso” in fiscal year 2019 meant that we must “get Mexico to do something” about the influx of immigrants, or failing that, it might be time to “shut the border.” The El Paso photos, however, were not shown or specifically mentioned. In a segment about the El Paso photos and CBP’s claims of an approaching “breaking point” at the border, Fox News contributor Katie Pavlich complained that Congress hasn’t changed any laws to “stop this at its source with the asylum claims” or to make it easier for authorities to “deport Central Americans right away,” forcing CBP to “put them under a bridge.” She added that “this is not humane, but this is the only choice” CBP has. Pavlich also fearmongered about new migrants “filling stadiums and stadiums full of people” and said “it’s unfair to put Border Patrol and ICE agents into this position because they’re being accused of being inhumane when Congress isn’t changing the laws,” seeming to endorse the allegedly humane alternative of mass deportations. The story of the people CBP has caged in El Paso is the latest expression of a well-defined trend: Fox News dominates discussion of important political issues by its sheer volume of coverage, allowing conservatives to set a misleading framing that ultimately misinforms discussions happening elsewhere. Twitter accounts of major national newspapers, cable, and broadcast news outlets spread -- without any context -- President Donald Trump's misinformation, outrageous characterizations of, and responses to special counsel Robert Mueller’s report on his Russia investigation. As Barr explained in a letter he wrote to Congress summarizing Mueller’s findings, the report “does not exonerate” the president on whether he obstructed justice. Nevertheless, Twitter accounts of The Hill, CNN, The Washington Post, Vox, ABC News, ABC’s World News Tonight, ABC’s This Week, ABC Politics, NBC Politics, and Politico all repeated Trump’s false claim that the Mueller report is a “complete and total exoneration” of him. Reporter: Do you think Special Counsel Mueller acted honorably? Many news outlets embedded a brief snippet of Trump responding affirmatively to a question about whether Mueller “acted honorably,” but failed to give basic context that Trump spent the last year savaging Mueller’s reputation by criticizing him, his actions, and his team. NBC Nightly News, NBC News, ABC’s World News Tonight, ABC News, ABC Politics, ABC’s This Week, MSNBC, NBC Politics, and NPR Politics all did this. The Hill tweeted Trump’s comment five times. 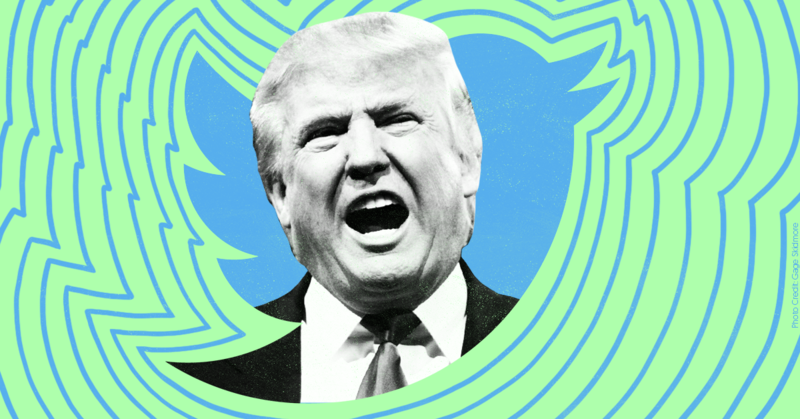 Parroting Trump’s misinformation is an ongoing problem with major news outlets; in the 24 hours after Trump’s 2019 State of the Union address, 13 major news organizations wrote 49 tweets which promoted false or misleading comments from the president. It’s not enough for news organizations to fact-check and explain Trump’s comments in their articles. In this era of unprecedented lies from the president about virtually everything, news organizations must rethink how they draft their headlines and social media posts to make sure they include factual information in them. After Bill Barr's summary of the Mueller report was released, Trump tweeted: "No Collusion, No Obstruction, Complete and Total EXONERATION. KEEP AMERICA GREAT!" Trump: "The Mueller report was great, it could not have been better. It said no obstruction, no collusion"
"Do you think Robert Mueller acted honorably?” ABC News' @jonkarl asks. "Yes, he did," President Trump responds. After a bomb cyclone triggered historic floods that devastated large swaths of the Midwest, the major broadcast TV networks completely failed to explain how climate change influences such aberrant and extreme weather. Media Matters’ analysis of coverage on the networks’ morning and evening news programs and Sunday morning political shows found that ABC, CBS, and NBC did not mention climate change or global warming once during their combined 28 segments reporting on the floods. A bomb cyclone of “historic proportions” began raging across the Midwest on March 13. It unleashed a torrent of wind, snow, and rain that caused unprecedented flooding in Nebraska as well as floods in Iowa, Minnesota, Missouri, South Dakota, and Wisconsin, resulting in at least four deaths and $3 billion in losses. The floods destroyed hundreds of homes and affected millions of acres of farmland. Unfortunately, these disastrous outcomes align with the projections of climate scientists, a number of whom explained how climate change plays a role both in worsening events like bomb cyclones and in creating the conditions for flooding of the sort that followed in the storm's wake. As climate scientist Michael Mann of Penn State told MSNBC, "As the oceans warm up, there’s more moisture that’s available to these storms to turn into record rainfall. That’s what we saw with this bomb cyclone that was drawing on warm, moist Gulf air that led to extreme amounts of precipitation, both rain and snow. The snow then melted, and we got this extreme flooding." Climate scientist Kevin Trenberth of the National Center for Atmospheric Research also noted that the bomb cyclone was carrying large amounts of moisture from the Pacific to the Midwest and told Reuters that climate change played "a strong supporting role" in the resulting floods. The bomb cyclone may also have been aided by a fluctuating jet stream. A study published in March 2018 found that a rapidly warming Arctic is linked to very wavy, slow jet stream patterns that are strongly correlated to an increase in extreme and aberrant winter weather events such as bomb cyclones and nor’easters. As Climate Nexus noted in the wake of the recent bomb cyclone, "The polar jet was extremely wavy across the northern hemisphere, and is consistent with the unusual jet stream behavior expected due to Arctic warming." The historic flooding is the result of rain coupled with a considerable amount of pre-existing water on the ground. February brought a record-setting 30 inches of snow to the state, which locked in several inches of water. With eastern Nebraska’s rivers already higher than usual following the state’s fifth-wettest season in 124 years, the bomb cyclone unleashed a mountain of water, submerging parts of the region. Connecting any one weather event to climate change is often impossible or incredibly challenging, but experts say the flooding is indicative of larger climate impacts. According to the government’s National Climate Assessment (NCA) released last fall, the Midwest is likely to see an uptick in flooding associated with global warming. Media Matters analyzed coverage of the Midwest flooding from March 18 to 25 on the morning and evening news programs and Sunday morning political shows on ABC, CBS, and NBC and found that none of their coverage mentioned climate change. During this period, ABC’s weekday morning and evening news programs ran 11 segments on the flooding, NBC's also ran 11, and CBS' ran six. None of the networks' Sunday political shows even mentioned the flooding. Some segments noted the unusual and historic nature of the Midwest floods, but they all did not connect the flooding to climate change. Cable news also fell down on the job. According to a Washington Post analysis, from March 15 to 19, the cable news networks covered both the Nebraska floods and climate change less than they covered President Donald Trump’s disparaging comments about deceased Sen. John McCain and the feud between Trump and George Conway, the husband of Trump advisor Kellyanne Conway. Newspapers and wire services did better than TV news in covering the floods and covering climate change, the Post found. Still, they were not exemplary either. The nonprofit End Climate Silence pointed out notable pieces about the flooding in The New York Times, USA Today, Reuters, The Washington Post, and other outlets that failed to mention climate change. Here are two good examples of TV news segments that discussed climate change while covering floods. 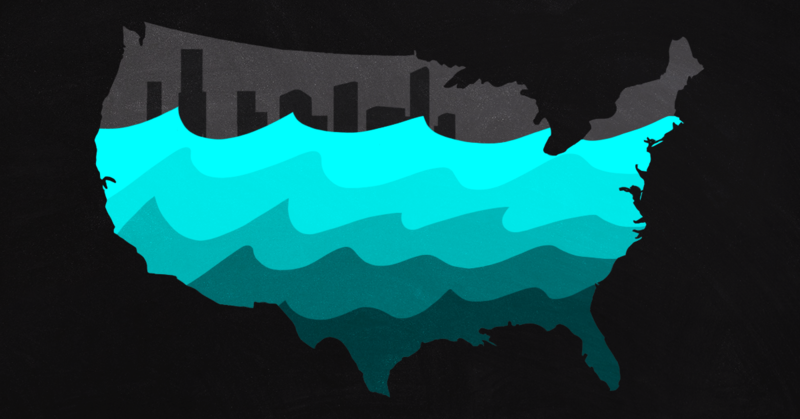 On MSNBC Live With Katy Tur on March 22, Tur hosted climate scientist Michael Mann to discuss a recent warning from the National Oceanic and Atmospheric Administration (NOAA) that 200 million Americans are at risk of experiencing flooding this spring. Mann also described how climate change worsens events such as the recent bomb cyclone and Midwest flooding. And, on March 23, Soledad O’Brien hosted former Illinois state climatologist Jim Angel on her syndicated weekly show, Matter of Fact, to discuss the flooding in the Midwest and how climate change is making it more extreme. Media Matters has conducted study after study documenting the failure of corporate TV news outlets to connect extreme weather events to global warming and has highlighted their tendency to neglect potential solutions to the climate crisis. Broadcast networks often report on extreme and aberrant weather, but they also need to report on how climate change increases the frequency and severity of extreme weather events. And they should report on possible solutions to climate-related problems before it’s too late. Media Matters searched Nexis and iQ media for segments about the Midwest floods on national news broadcasts from March 18 through March 25, searching for the terms "flood,” “flooding," or "bomb cyclone." We then searched those segments for the keywords “climate," "warming," "emission(s)," "carbon," "CO2," or "greenhouse gas(es)." Our analysis covered morning news shows (ABC's Good Morning America, CBS This Morning, and NBC's Today), nightly news programs (ABC World News Tonight, CBS Evening News, and NBC Nightly News), and Sunday morning political shows (ABC’s This Week with George Stephanopoulos, CBS’ Face the Nation, and NBC’s Meet the Press). We did not count brief mentions, teasers, or rebroadcasts. On Monday, the Department of Justice (DOJ) announced its support of a federal appeals court ruling that would overturn the Affordable Care Act (ACA) in its entirety. Fox News barely covered the Trump administration’s decision. In December, a federal judge in Texas ruled in favor of a lawsuit brought by 20 Republican state attorneys general and governors that would nullify the entire ACA. 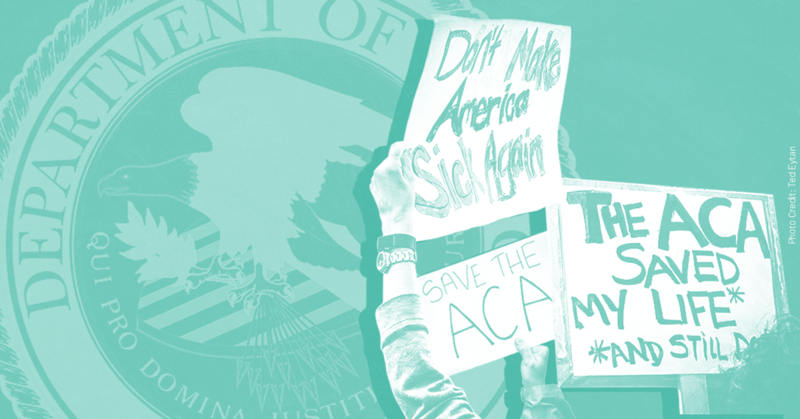 The Trump administration had previously supported striking down the consumer protections in the health care law -- including those for people with pre-existing conditions -- but had argued other provisions, such as Medicaid expansion, could still stand. This latest and sudden reversal of the administration’s position would put more than 20 million Americans’ health insurance at risk and allow private insurance companies to discriminate against people with pre-existing conditions. The day after the DOJ’s announcement, cable news devoted four hours and six minutes of coverage across Fox News, CNN, and MSNBC combined. Throughout the day, Fox News spent just 19 minutes and 34 seconds covering the administration’s attempt to kill the Affordable Care Act. 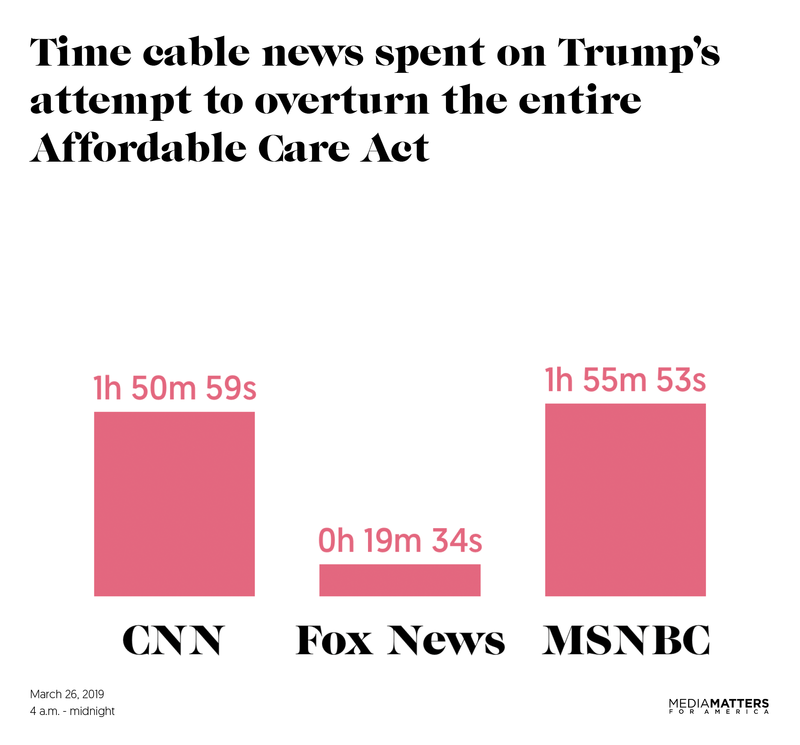 By contrast, CNN and MSNBC spent nearly two hours each covering the news. Coverage of the DOJ’s attempts to legally undermine the ACA in particular, and health care policy in general, has consistently been lacking. In June, when the department initially announced it would not defend coverage for those with pre-existing conditions, cable news barely covered the story. Media Matters searched the SnapStream video database for transcripts of CNN, Fox News Channel, and MSNBC that aired March 26, 2019, between 4 a.m. and midnight that contained any of the following terms: "Affordable Care Act,” "ACA," “Obamacare,” “Obama care,” “healthcare,” or “health care."